your eyes smile, laugh, flirt and sometimes share secrets (like how little sleep you got last night). 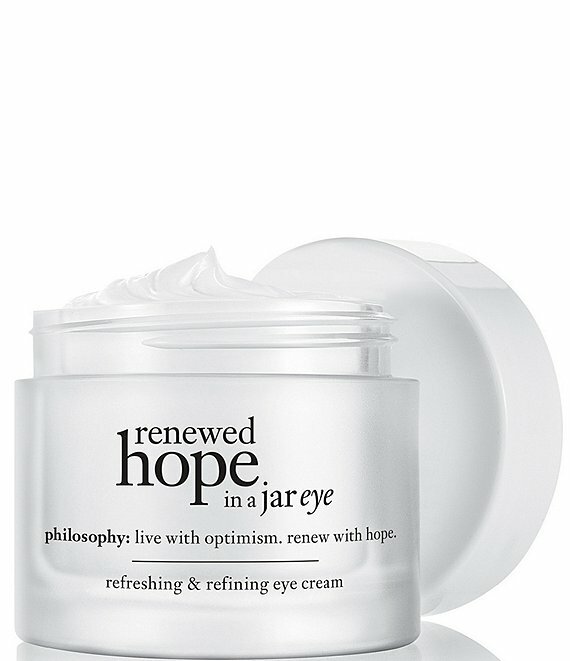 renewed hope in a jar eye is specially formulated for the delicate skin around your eyes and the multiple concerns affecting it. featuring the clinically-proven non-stop skin renewal technology that continuously hydrates, brightens dark circles, reduces puffiness and smooths the look of fine lines, renewed hope lets your eyes say exactly what you'd like them toand nothing you don't. how to use: gently apply a small amount with fingertip under and around the eye area morning and evening.